Stony Brook University President Samuel L. Stanley Jr. tried to debunk certain myths about the university’s financial status this week in an email sent to faculty and staff on Monday, March 25 and again to students on Friday, March 29. “We are on a sounder financial footing since undertaking campus wide efforts to address the budget constraints that are being felt at Stony Brook and also by the other SUNY schools as well as many of our peer institutions nationwide. But there is more work to be done,” he said in an accompanying video posted to the university’s YouTube Channel. Much of Stanley’s letter focused on the Bunsis Report, an independent financial analysis that was presented at a University Senate meeting earlier this month. The report found that contrary to the repeated claims of top university officials, Stony Brook was actually in good financial standing. In his email, Stanley doubled down on his claims that Stony Brook is trapped in a structural deficit, meaning the university is forced to spend more money than it takes in. He pinned much of the blame for this problem on contractual salary increases for SBU employees. “To be clear, no one questions the appropriateness of the increases for our outstanding faculty and staff, but we have not been provided with a corresponding increase in state allocation,” he wrote. President Stanley pointed out that the Bunsis Report assumes all of Stony Brook’s finances can be analyzed as one entity, which leads to a misrepresentation of the school’s financial status. 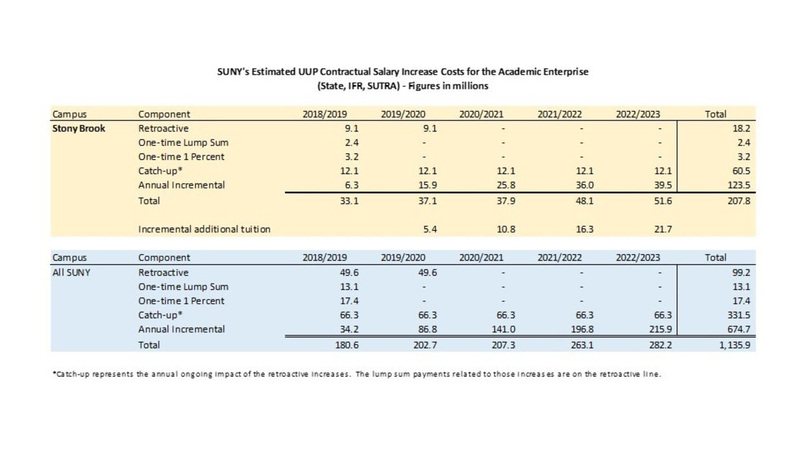 Based on this assumption, the report found that the university has had a positive net cash flow for the past 10 years. Stanley disputed this claim by pointing out that most of the surpluses the report found came from Stony Brook University Hospital, which cannot be included in the financial analysis of the school. “Here’s the critical point, none of those ‘surplus’ dollars, either from the hospital or from our clinical practice, are able to be used for non-medical purposes,” Stanley wrote. Other surpluses outlined in the report came from $236 million in state allocations meant to fund fringe benefits for state employees at SBU. Stanley explained that even if there is left over money at the end of the year, the university is unable to access it for other purposes. 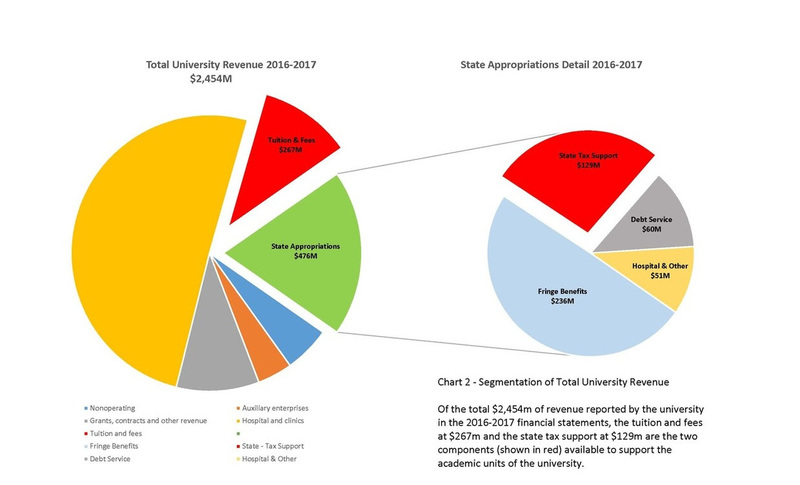 “So the revenues that seem so striking in the Bunsis Report do not represent money available to deal with the budget challenges in the rest of the University,” Stanley wrote. The funding of West campus comes from tuition and fees and state tax support. While tuition and fees have increased, the state tax support has not increased since 2009. The increase of only one aspect of West campus funding cannot keep up with the increased costs of Stony Brook. “So, the budget challenges we have been facing are very real, and the austerity measure we have implemented, while difficult for all, are necessary to deal with our current financial circumstances,” Stanley wrote. The report also raised questions about whether the salaries of top officials at SBU were driving up personnel costs. According to Stanley’s email, this assumption was based on data of institutional support salaries, a broadly defined category that includes many areas of staff aside from senior level administration such as finance, advancement and information technology. “It is not possible to review only this data point and conclude anything concerning the relative spending on ‘upper level administrations’ by a university,” Stanley wrote. He also notes that from 2009-2019, the lowest paid employees saw the highest increases in their salaries. Employees who made over $175,000 had an average salary increase of less than 2%. This was the smallest increase in all of the groups. Stanley ended his email on a lighter note, commending the faculty and staff for Stony Brook’s growth as a university. He acknowledged the competitiveness of the school, as evidenced by the 37,800 applications SBU received competing for only 3,300 spots. He also applauded the improvements SBU has made in increasing the four year graduation rate from 47.5% in 2014 to 62.5% this year. “I look forward to our work together to address these very real budget issues, while we continue to move Stony Brook down the path of academic, research and healthcare excellence,” Stanley wrote.